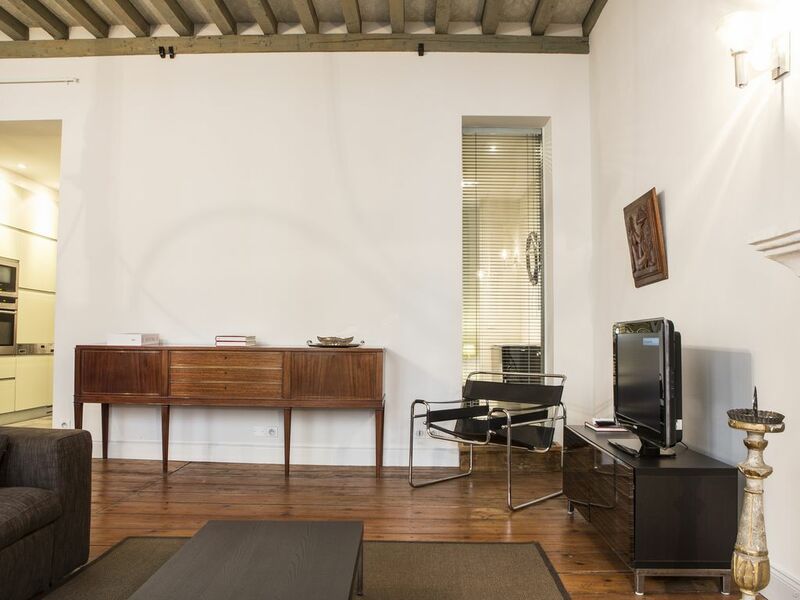 This beautiful, spacious apartment in the very heart of historic Bordeaux was renovated by an architect in 2012 to the highest standards giving you all the conveniences you expect - from WIFI to dishwasher, tumbledryer and Nespresso - with all the character of a luxurious 18th century Bordeaux residence. Furnished throughout with exquisite taste (mixing original 18th century paintings and engravings with 20th century iconic pieces of furniture), the apartment has a large and quiet bedroom overlooking the courtyard, a sunny living room with balcony looking out over historic buildings a spacious dining area, a fully-equipped kitchen - including a lovely breakfast bar - and bathroom with separate toilet and a wash bassin. This is a perfect base from which to explore Bordeaux and its region. Everything you might want is minutes away, many nice restaurants, typical cafés and delicious bakeries, museums, enjoyable theatres, cinemas and an amazing opera hall. Many city guides and addresses that tourists do not usually find will be at your disposal in the apartment. The Tourist Information Center is also within walking distance, and their staff will be very helpful when booking wine tours, city tours of the UNESCO listed heritage sites, etc. The closest tram stop is just 300 feet away. This was our first trip to Bordeaux and we could not have found a better landing spot. Beautiful, uncluttered, light and bright apartment with comfortable furnishings. Also quiet. So convenient to everything the city has to offer, nothing is more than ten minutes away. Very easy transfer from the train station to the apartment on the tram. Our greeter, Maelle, was one of the best we've had anywhere. Completely thorough explanation of how things work in the apartment, helpful about where to eat, etc. and most importantly prompt (which has been a problem in other locales - no fun waiting on the cold street with luggage, not the case here). We'd stay here again. Great looking apartment, well equipped, well situated. Had issues with WiFi at the beginning and property manager stepped in and were incredible. The issue was resolved quickly and with a smile. We miss it already. It was a joy. Thank you. This apartment was perfectly located near everything but on a very quaint and quite street. It was beautifully decorated and had great amenities. Definitely staying here again when we come back. (Text automatically translated) Facilities in the apartment:> plan guides Bordeaux / Aquitaine> Plan Transit> places: restaurants, wine cellars, tea, ice cream bars, cultural outings, Bordeaux unusual. Les frais de ménage (55€) et de linge est serviettes (20€)est obligatoire (inclus dans le devis) Une caution (400€) est demandée à l'arrivée (chèque FR ou empreinte de carte de crédit).